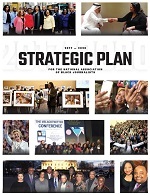 WASHINGTON, D.C. (July 24, 2018) -- The National Association of Black Journalists (NABJ) is pleased to announce the 39 participants in the Student Multimedia Project during the 2018 NABJ Convention and Career Fair Aug. 1-5 in Detroit. 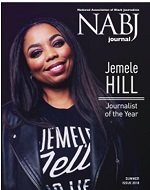 The project is a part of NABJ’s Student Education Enrichment and Development (SEED) Program. Each year, NABJ offers an all-expenses-paid fellowship to outstanding college journalism students that allows them to cover the all of the action at convention and buzzworthy local stories in the host city. "The Student Multimedia Project provides our student members with a unique opportunity to get on-the-job training from our talented and dedicated professional members, including journalists and public relations experts," NABJ President Sarah Glover said. "As a member of the 1995 Student Projects, I know first-hand how invaluable this experience will be for our 2018 participants to demonstrate their talents not only to our members, but also potential employers." Participating students produce both breaking news and long-form multimedia stories, which are featured in the convention's daily newspaper (print and online versions), and during a daily newscast. Additionally, the students promote special events, programming, and sponsor-related information that appears on NABJ’s various social media platforms. This is the 29th year of the NABJ Student Projects program, said SEED chairwoman Alexis Mitchell. She said the team of professional mentors are ready to greet students coming from across the country. “We have been preparing for months to make sure we have all the tools needed to help our students achieve a long, interesting, and successful career in media/broadcasting,” Mitchell said. “Most of all, we want our students to know that working in media can be a fun and engaging career." NABJ thanks the SEED Project partner the Knight Foundation. 2018 Student Multimedia Project participants include: Amani Patterson, Anfernee Patterson, Arielle Brumfield, Autumn Childress, Belynda Wesley, Bre’Anna Grant, Brooklynn Copper, Cecil Hannibal, Chancellor Johnson, Chilee Agunanna, Cierra Johnson, David Schiele, Devoun Cetoute, Hadiyah Weaver, Henry Kenney III, Imani Stephens, Jailyn Anderson, Jazmin Goodwin, Jordan Dunlap, Karlee Browder, Kayanah Alexander, Kaylah (Kami) Simmons, Korey Matthews, Kyla Wright, Kylah Simmons, Martha Rhine, Marquavia Smith, Maya King, Noelle Lilley, Shannon Simmons, Sierra Porter, Skyler Glover, Sydney Clark, Sydney Williams, Tony Betton Jr., Tramon Lucas, Troy Boyd, Zarla Gholston and Zuri Hoffman. It’s not too late to attend the 2018 Convention and Career Fair. Please register here.